With Marvel Legends Series 3 3/4-inch figures, kids and collectors alike can imagine their favorite heroes and villains preparing for epic battles. 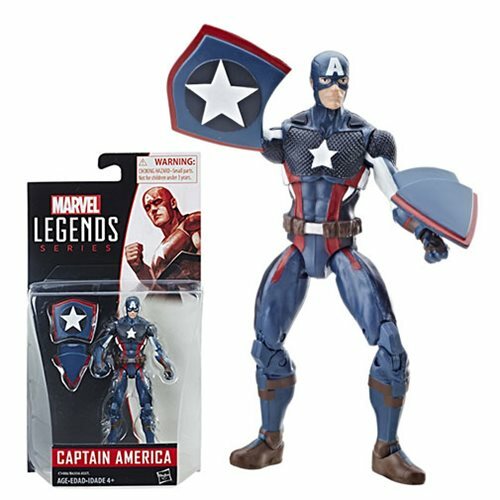 This 3 3/4-inch scale Captain America figure features classic design and styling, as well as premium articulation. With the Marvel Legends Series, heroes and villains aren't just super - they're legendary. Ages 4 and up.